The average person spends 2500 hours a year sleeping, add an extra 70 hours for snoozing the alarm clock and if you are anything like me another 50 hours of just curling up in bed watching YouTube.With all these hours spent in one room, it needs to be a relaxing area. 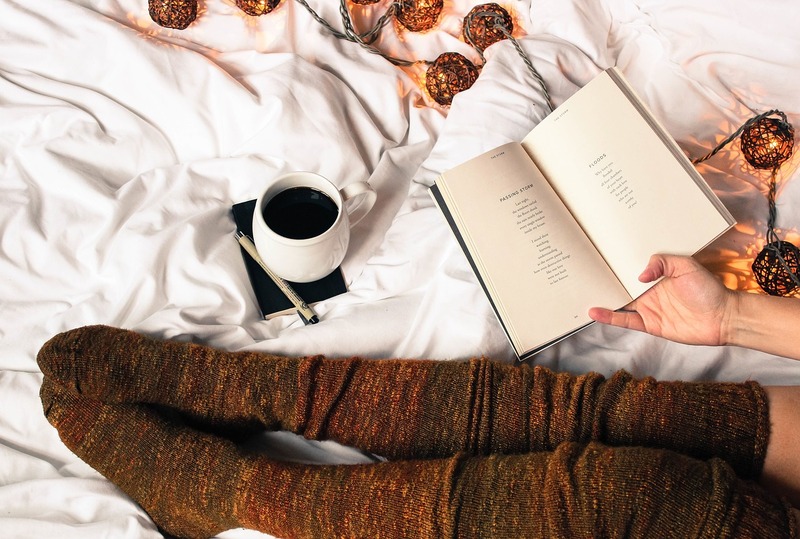 The Winter chill and dark nights are already upon us so if you haven’t already it’s time to unpack the highest tog duvet you have and change the soft furnishings to create a warm cosy environment. Top of the list which is a necessity all year round is blackout curtains. However dark it is outside the added thickness of blackout curtains blocks the harsh rays of street lamps helping to promote a good nights sleep.It is always worth investing money in a stylishly designed pair of blackout curtains as they can really transform a room from looking cheap to opulent.The pair we purchased were from the Yorkshire Linen Co and instantly created a peaceful ambiance. If you are looking for new curtains I can definitely recommend buying a pair from the Yorkshire Linen Co. Their new winter collection of blackout curtains are available at to view at the Yorkshire linen website. Once you have cosy curtains to keep out that cold wind you can turn your attention to the bed and the linen. You want your bed linen to be soft and warm next to your skin.You need to look for a high thread count. Most cotton thread counts are between 200 – 800 but you can occasionally find one at 1000.The higher the thread count the softer the cotton.This also translates to the same thermo-insulation property in the sheets that keep you cool in summer will also keep you warm in winter. The White Company have a great selection of bed sheets to choose from and if you are really looking for pure luxury take a look at their Egyptian Cotton range. When looking to choose your duvet cover design Nordic is huge this year along with plaid & stags. 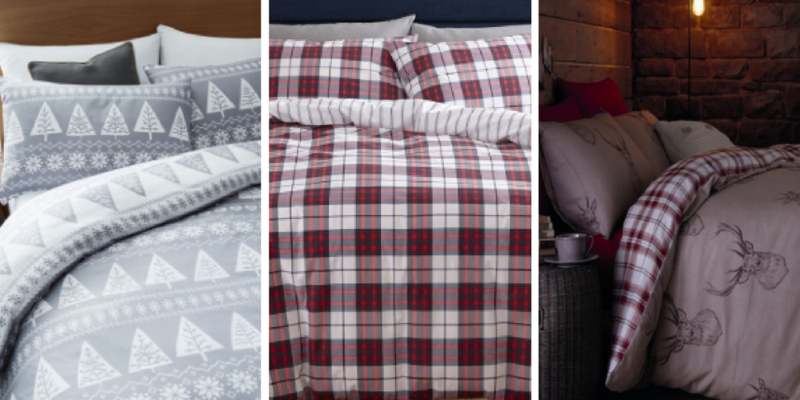 All create a masculine log cabin feel that can be softened with the use of Faux fur or knitted throws.Matalan has really stepped up their game when it comes to home styling and this year’s selection of bedding sets means there is a design to suit everyone. The cheapest way of transforming a room from one season to another is accessories. Adding a few new bronze coloured scatter cushions to the bed or changing photo frames to metallic colours will instantly update your look. The best place to find style inspiration is Pinterest but be warned once you log onto the site you may find yourself engrossed for a whole afternoon. Once you know the look you want to go for then take a visit to your local Primark. Their home accessories and very versatile and there is plenty of choices. If like me you are handy with a tin of spray paint & some sticky back plastic, then why not update some old furniture or ornaments into your chosen colour scheme. It’s super easy to do and a mini project you can undertake in less than a day. 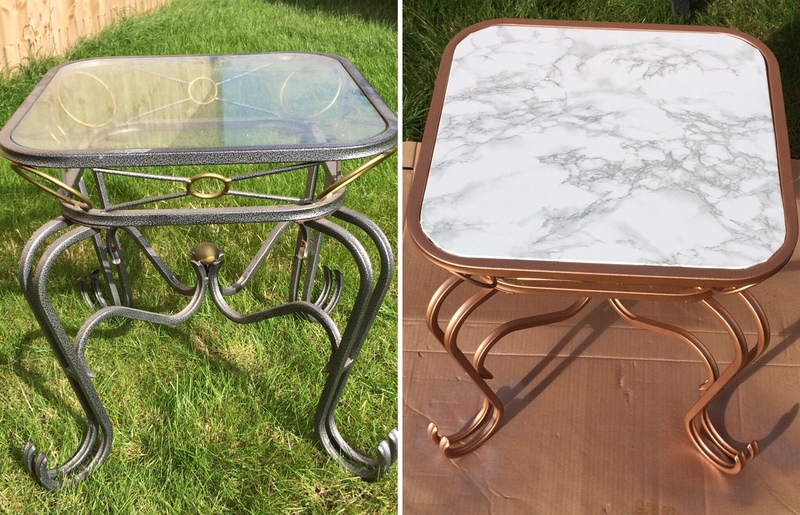 As Blue Peter presenters used to say here’s a bedroom side table I did earlier ……….. I hope this has given you some style inspiration to transition your bedroom from summer to autumn/winter. If you have any style tips you would like to share just comment below. "WHAT ARE MY MATERNITY RIGHTS ?"